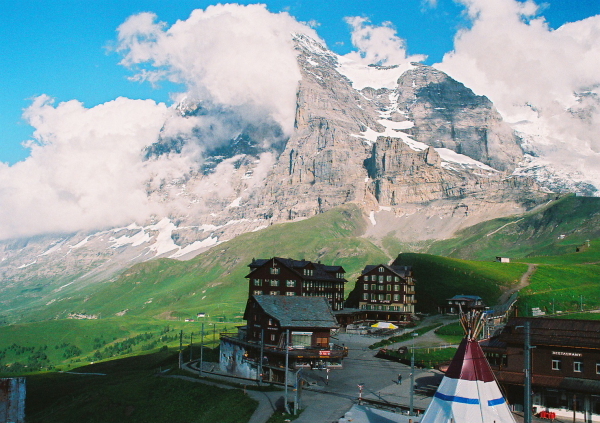 Kleine Scheidegg is a trailhead in the Swiss Alps. 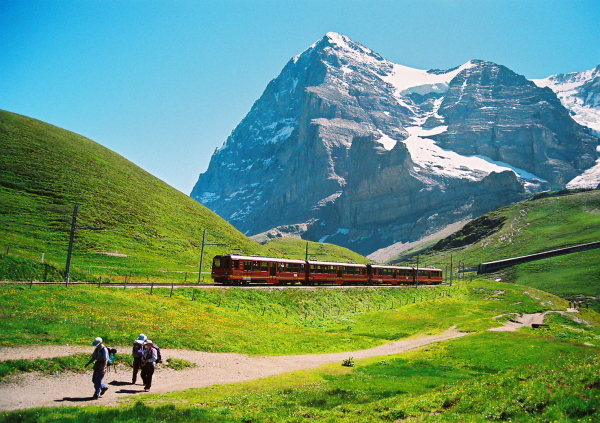 When you go mountain climbing on the train to Jungfraujoch from Zermatt,we have the transfer here. 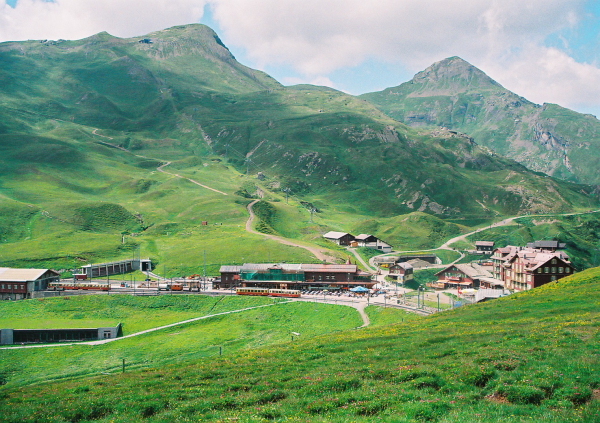 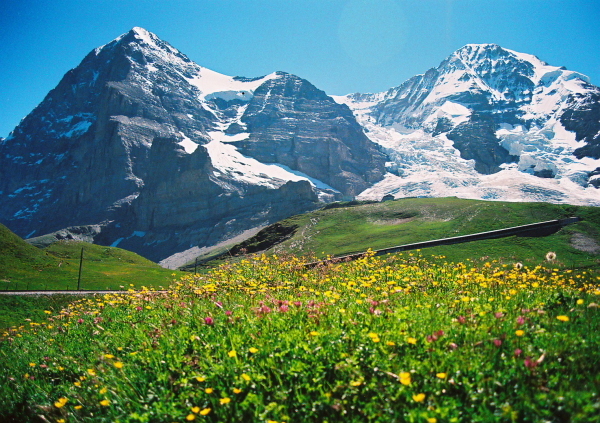 The alpine plants are blooming around July in Kleine Scheidegg. 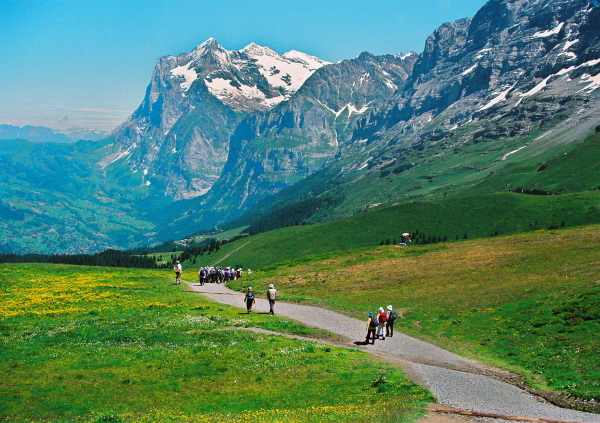 We enjoyed the magnificent views overlooking three mountain. 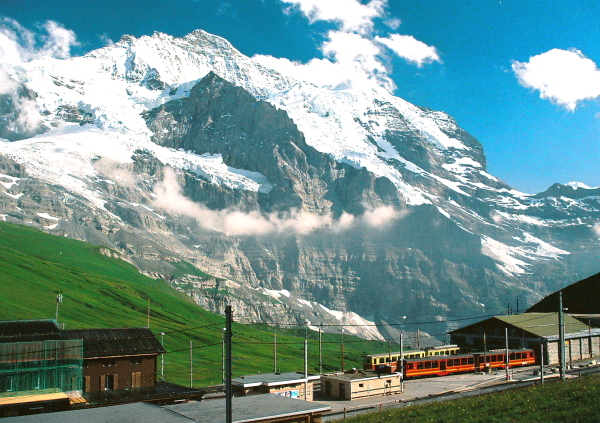 ,Jungfrau is (4,158 m). 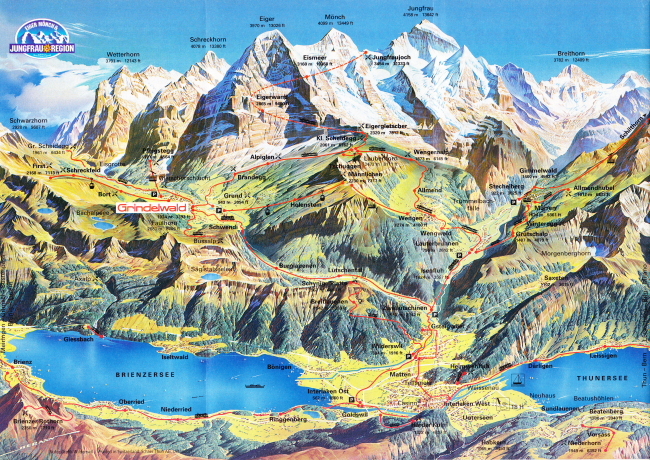 Eiger with the north wall o (3,970 m), and Mönch (4,099 m) . 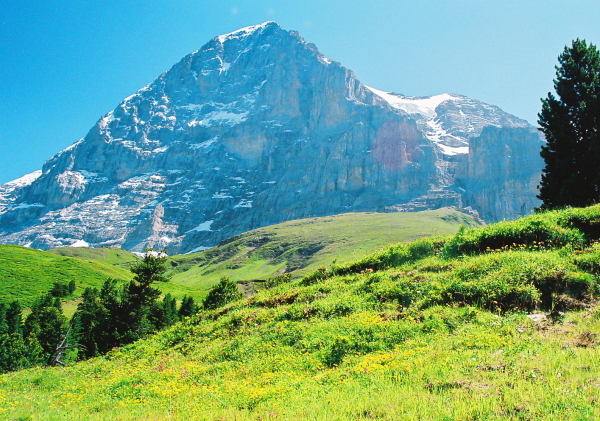 Jungfrau is called the "maiden of the Alps" from elegant figure. 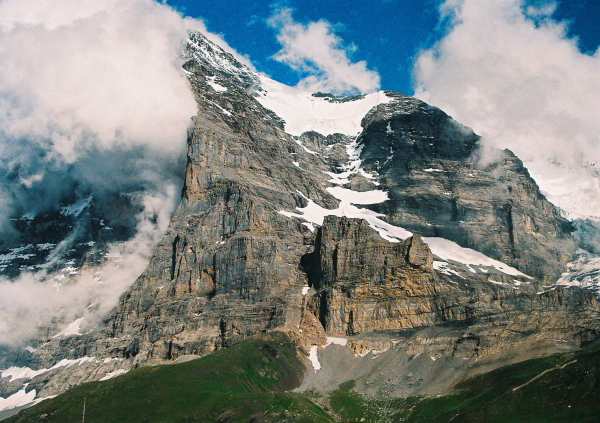 Click here to you, you can see the photo album. 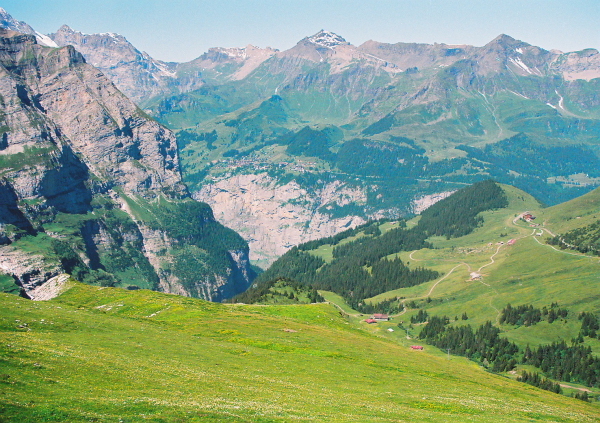 When you look at this page, please quick here.